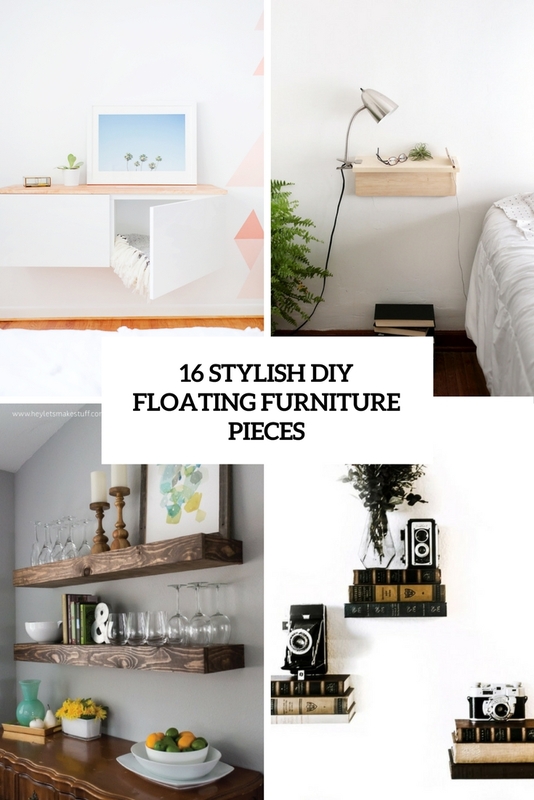 Floating furniture is popular because it has a cool modern look and saves some space. Though you can find a lot of ready pieces in shops, you may also make some that fit exactly your own space. Credenzas, shelves, desks and many other furniture items can be made floating; such pieces will fit Scandinavian, modern, minimalist, industrial and even vintage spaces – give them a look that you need. 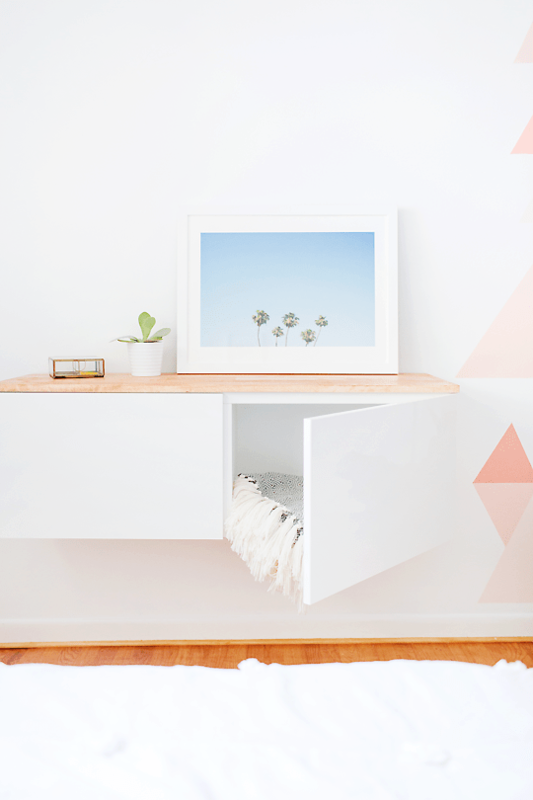 Now I’d like to share some tutorials for those of you who feel crafty and are ready for making something, here you’ll find the coolest floating shelves, credenzas and nightstands. This little shelf is so cool not only because it’s a floating one but also because it features some storage space inside. Keep your little stuff inside to make it hidden! Make as many shelves as you need – the tutorial is pretty simple – and enjoy! Every dining room or kitchen needs some shelves to store dinnerware, photos and other stuff. Make some comfy and durable floating shelves of pine wood and attach them to the wall creating comfy storage and display. Read the instructions to find out how to make them. 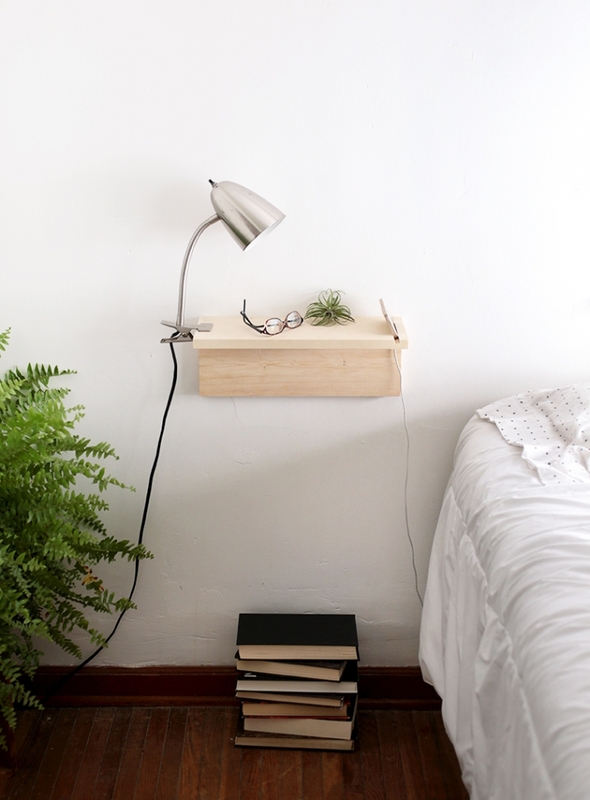 This comfy floating shelf is very small but a bit different: it features a back, too! It makes it more stable and comfortable for storage – even the smallest items won’t fall anywhere. Read how to make the piece in the tutorial and enjoy. 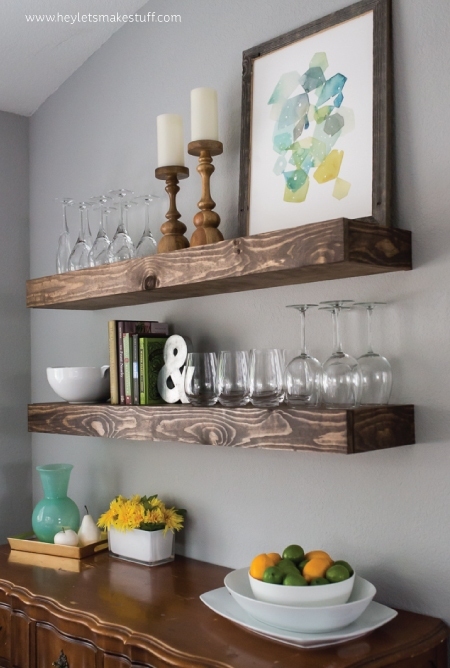 These stylish floating shelves have a live edge, which is a hot trend in modern decor: a live edge brings a rustic feel to the space. This tutorial will tell you how to make the shelves and attach them to any wall so that they were stable. Need something more creative? Here are floating book shelves! And I mean not just shelves for books – these are real shelves made of books. Such a cool and interesting display! 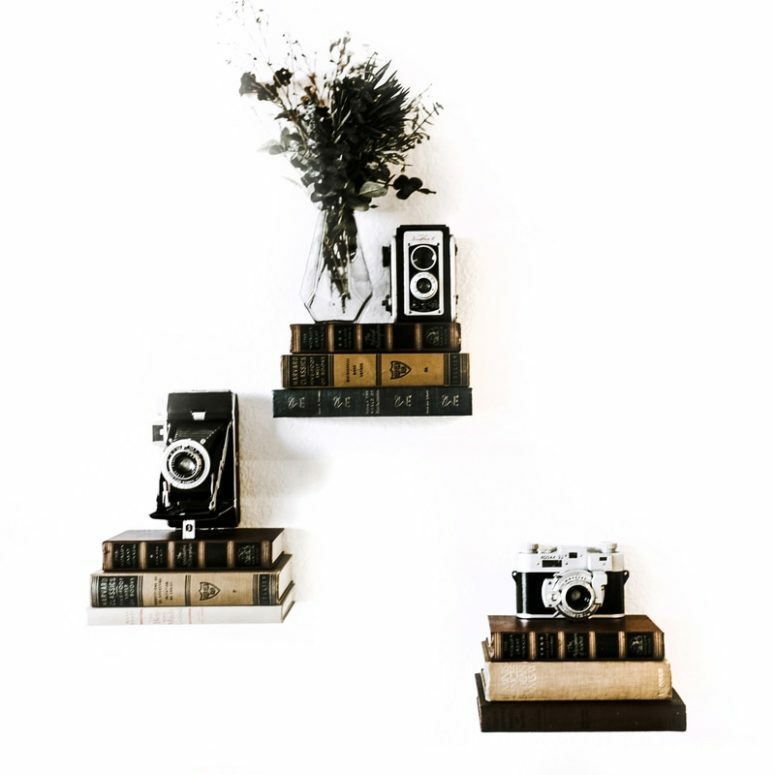 You may place anything on them: vases with flowers, cameras, souvenirs and other things. Here’s one more idea for a floating shelf, and this piece is eco-friendly as it’s made of driftwood. Such a great idea for a beach-inspired or boho space! Though any wood would do, if you have some other wood at hand, it’s okay. 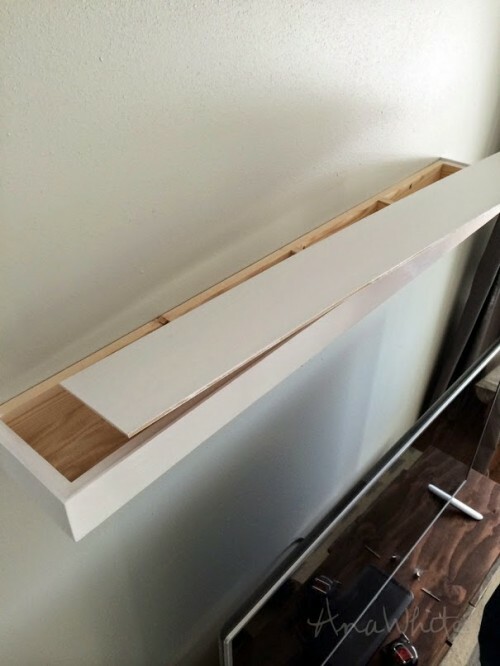 Read how to make this shelf and how to attach it. 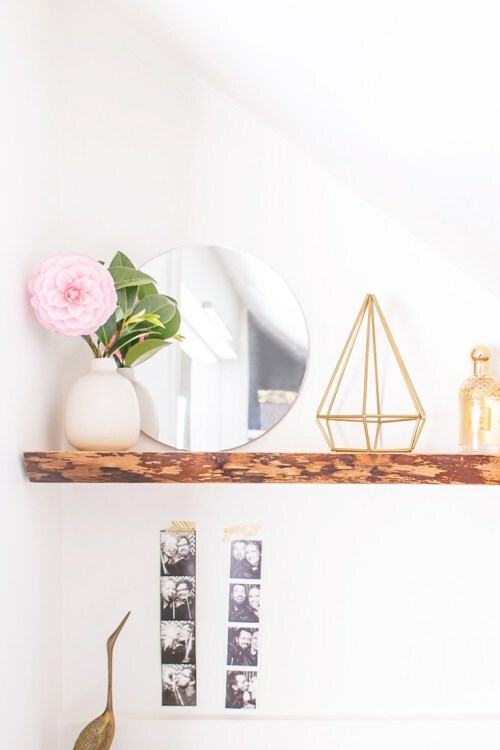 This shelf is a perfect piece for a girl’s nook because it’s a floating shelf with a secret space. 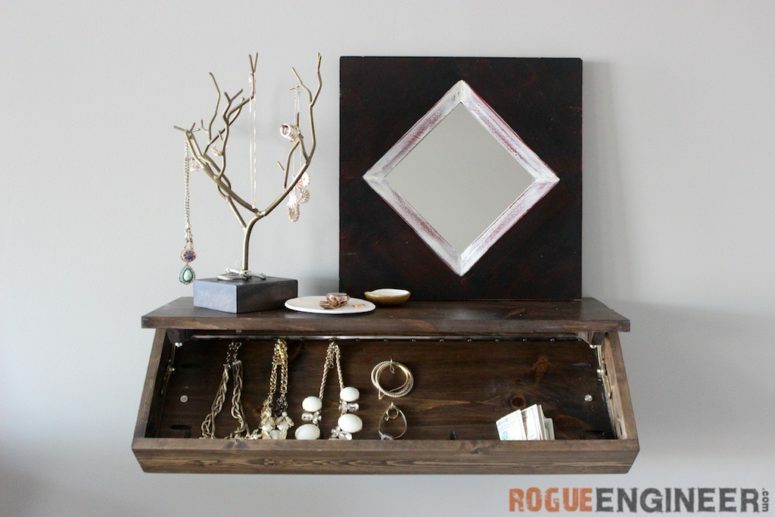 You’ll get a storage space on the shelf and inside it, too – a nice idea for storing jewelry and other stuff. 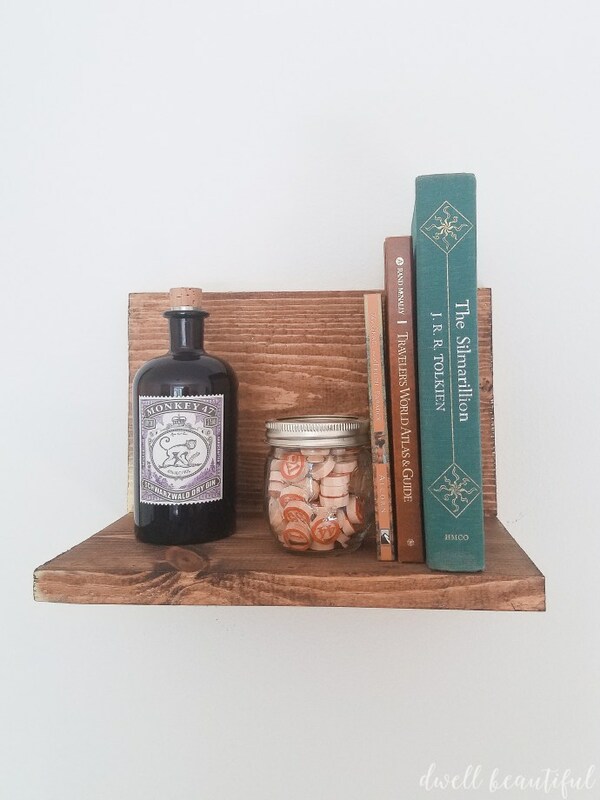 Read how to make a shelf with a secret and enjoy the result! Make a floating buffet for your dining space or breakfast nook! Such a buffet looks modern yet neutral enough, gives much storage and is easy to assemble. The base for the craft will be IKEA Metod cabinet, which will get a pretty wooden top made of a wooden slab. Looks cool! 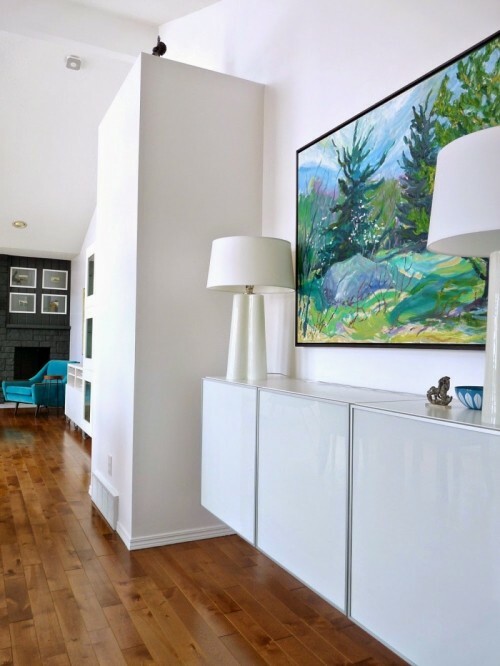 Here’s another cool floating piece, and it’s a floating credenza. 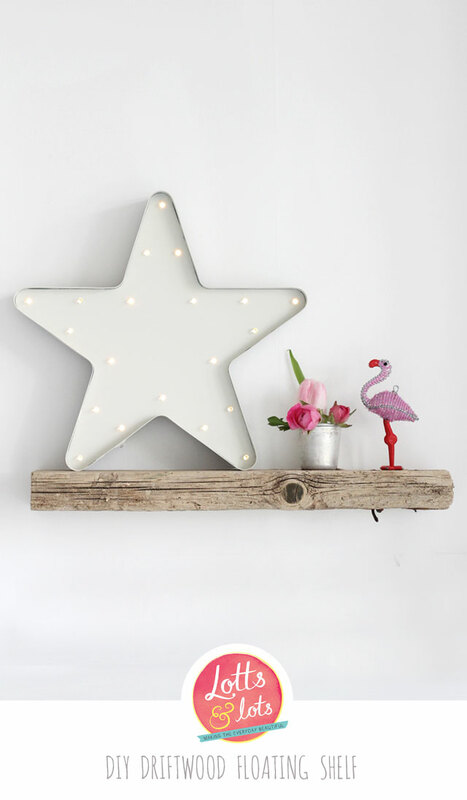 It’s a shiny white piece covered with light plywood for a more stylish touch. Provides much storage and perfectly fits a modern space, choose the plywood color that fits your space decor. We love hacking IKEA! 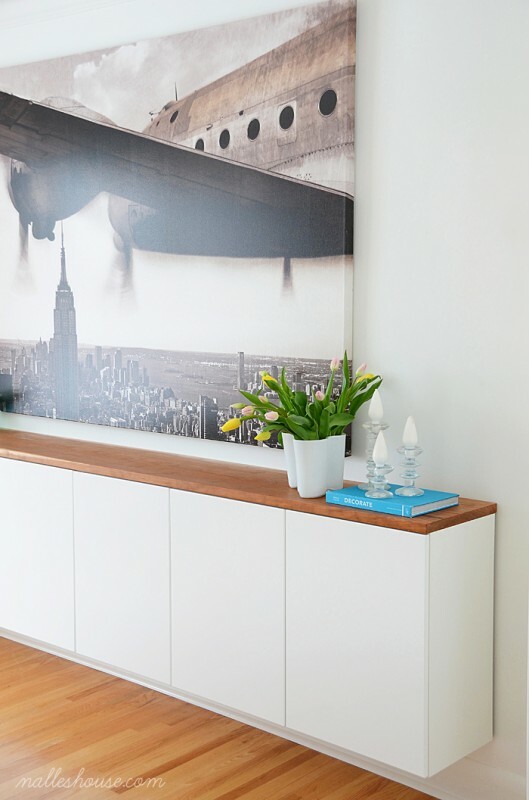 IKEA Besta shelf is a perfect piece to make a stylish floating credenza. Take a white one and get a couple of matching doors, then get some aspen wood to make a cool credenza top. Cover the top with polyurethane to make it more durable. This long and stylish credenza was made of IKEA kitchen cabinet uppers being mounted directly to the wall at a traditional credenza height. 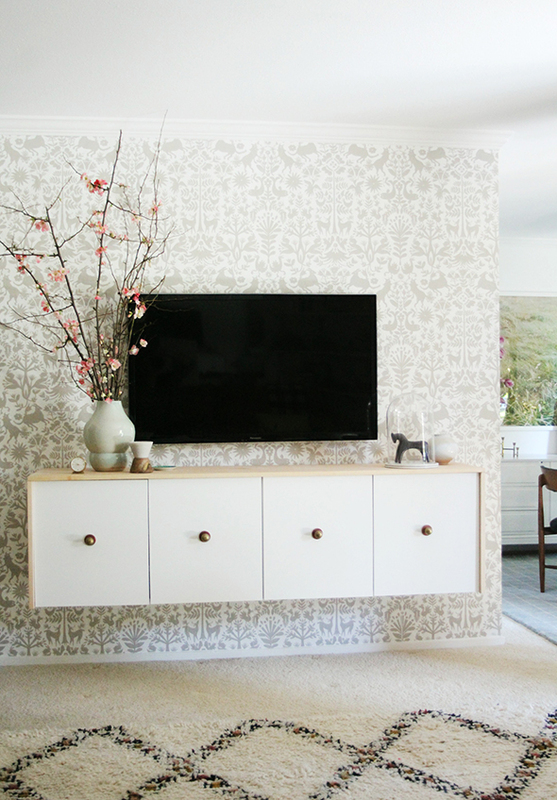 The credenza got a plywood top and stylish knobs for a cool look, read how to pull off and attach the whole piece to the wall. One more IKEA hack is here! 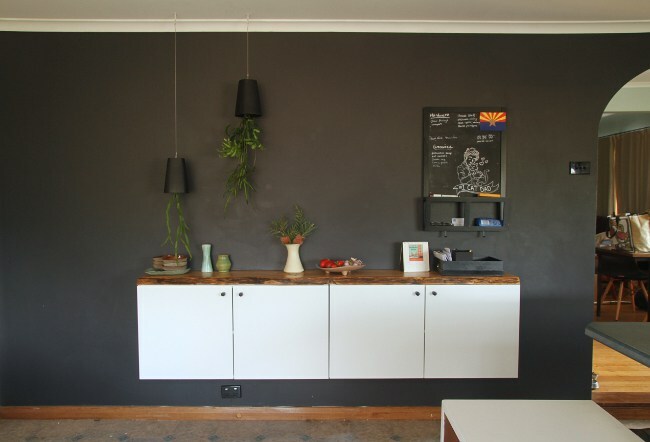 This floating sideboard is made of three IKEA cabinets (over the fridge cabinets with Applad doors) with the Ikea mounting rails and hardware. To make it look more stylish, the sideboard is covered with a natural wooden top. This little nightstand is ideal for those who lack space in the bedroom, and perfect for those who love reading as the base of this nightstand is a stack of books. You can place whatever you like on them: a glass of water, a phone, glasses and so on. 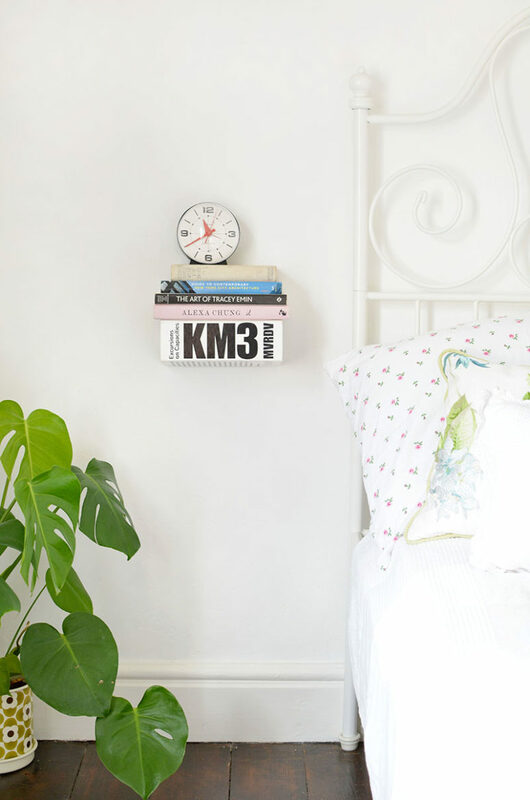 If your bedroom is modern or Scandinavian, this nightstand shelf will fit perfectly! The piece is made of a couple of pine boards and is relatively small, so you won’t place much on it but it’s enough for just some pieces. Can be built in a couple of minutes, enjoy! 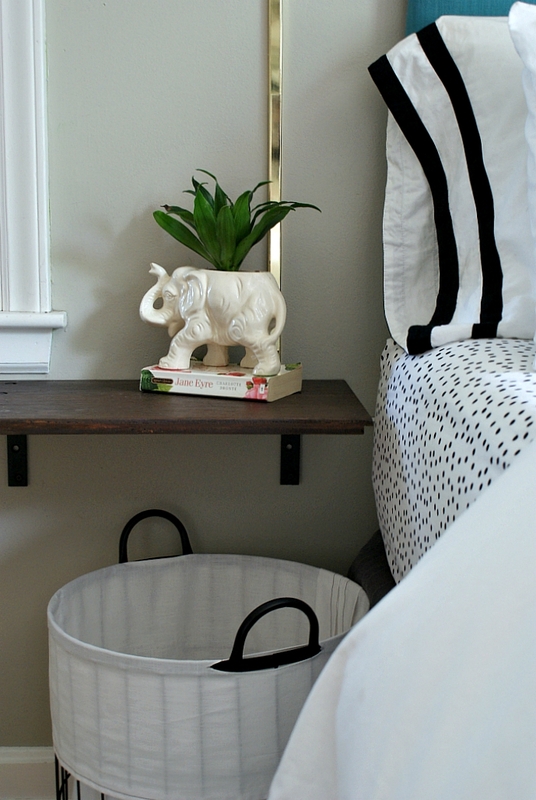 A usual cabinet door can be easily repurposed into a floating nightstand. Renovate the door as you like and give it a look that fits your bedroom style. Then just attach it to the wall reading the instructions – easy-peasy! 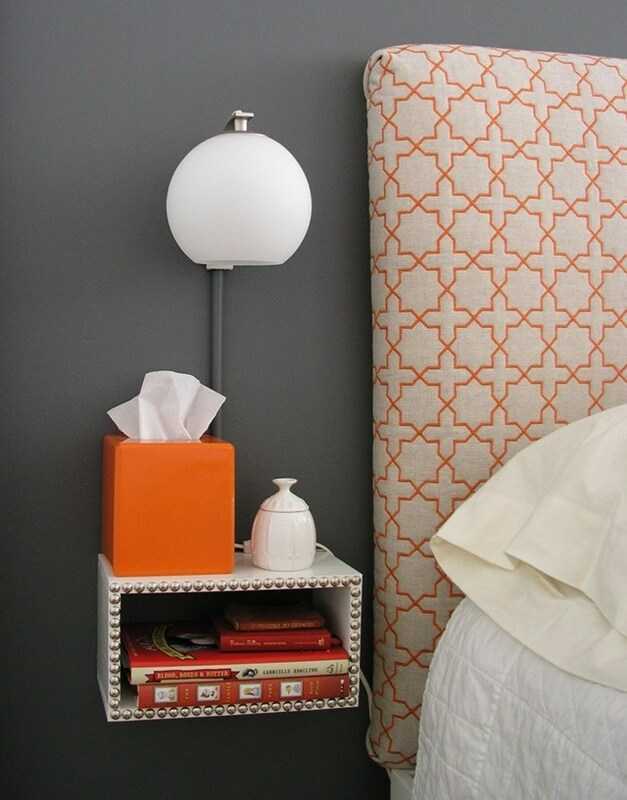 This nightstand looks like a box and provides more storage space than a little floating shelf. Build the box of wood and paint or finish it as you like, then attach small finishing nails to make the box nightstand look cooler and bolder. Enjoy!